Unitron’s newest hearing aid models feature North, a powerful new technology with 2X the sound processing power of the ERA technology it replaces. Moxi Fit replaces the triangular shaped Moxi2 models with an updated case featuring stylish ergonomics and enhanced sound processor protection. 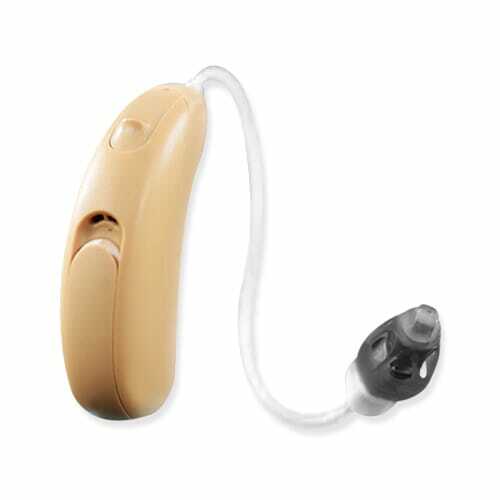 Fit is a RIC hearing aid and comes with an onboard button that can be configured for volume or environmental program selection. Unitron designed the Fit model to be small enough to be inconspicuous yet offer the wearer the option of manual control. Moxi 800 is close to Moxi Pro’s performance and is a great choice for those that want the best blend of performance and price.